As a general rule, at least one whole shelf in the refrigerator is taken up by a bottle of apple juice and a carton each of orange juice and lemonade. When I was offered the opportunity to review V8 V-Fusion® Refreshers, I was happy to have the chance diversify our juice shelf a bit. Each of the four flavors,Black Cherry Berry, Cranberry Grape,Tangerine Passionfruit and Peach Strawberry, are naturally sweetened and contain a combination of fruit and vegetable juices with no artificial colors. AND no High Fructose Corn Syrup, which is a big draw. 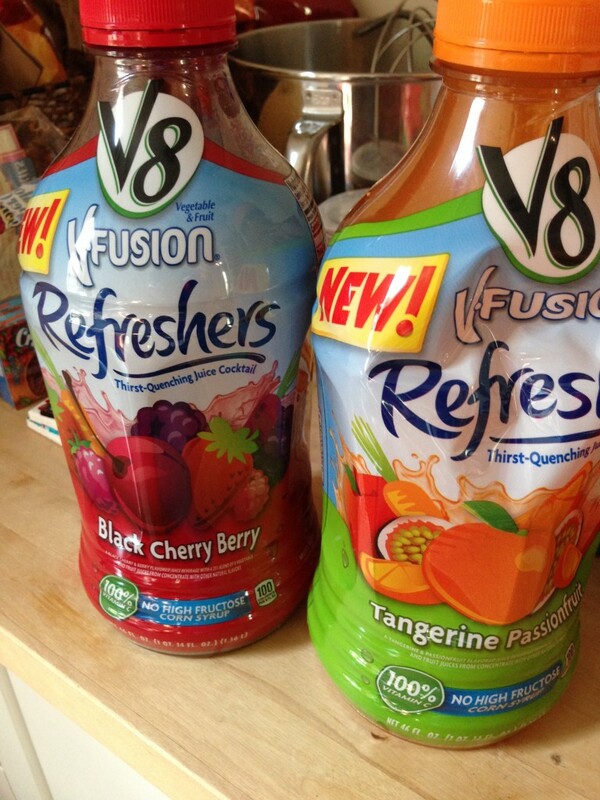 This entry was posted in Food and Drink, Products and tagged fruit juice, v8 fusion refreshers by jessica. Bookmark the permalink.